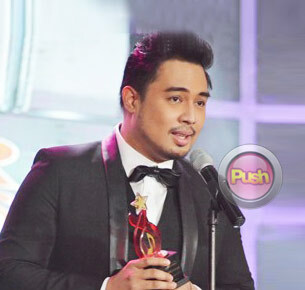 Jed Madela admits he sees the rise of numerous new artists in the industry as a challenge to improve himself. Jed has definitely established a name for himself in the industry but with the numerous new artists today, is he threatened that they will soon be stealing the spotlight? “To say that I’m not threatened that would feel naman na ang yabang nito. Threatened would be such a strong word, probably challenged. Siyempre ang daming magagaling ngayon, ang daming sobrang galing na artists na lumabalas ngayon like si Mitoy (Yonting), si Radha (Tinsay), sobrang galing. Of course it’s always a wake-up call for us artists na kinakailangan maging handa kasi anytime anybody can take your place. I’m just lucky siguro kasi isa ako sa mga nauna, kami ‘yung mga naunang balladeers na naka-establish na rin ng pangalan namin but it’s not enough for us to sit and enjoy what we work for, kailangan it’s a constant process. It’s really hard work,” he said.